Spritz cookies. They are almondy goodness. I love when they’re piped using a star tip and have the cute swirls. 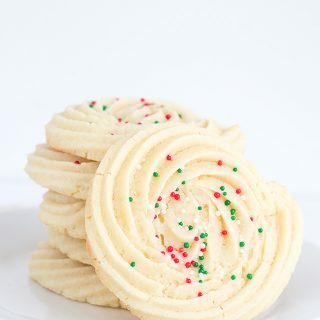 These cookies do flatten out slightly as they’re being baked, but they keep the pretty ridges on the top. I added a little Christmas sprinkle to the tops to be a little more festive. 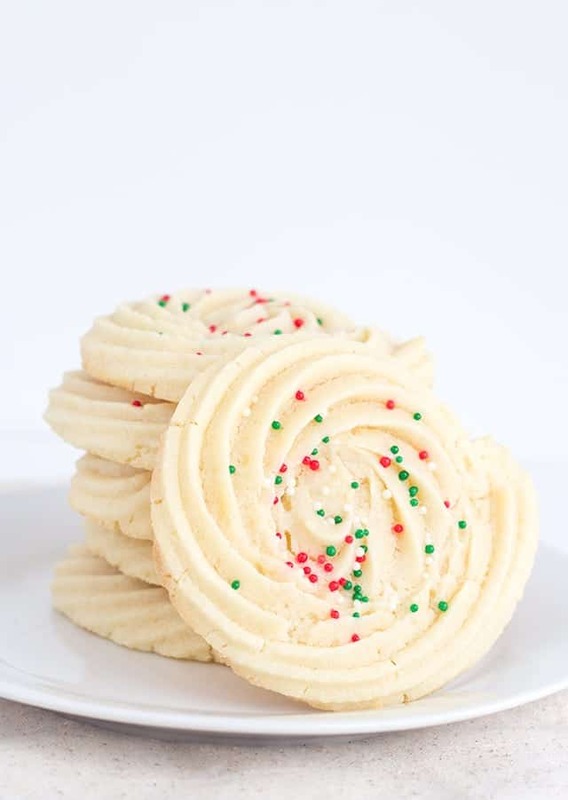 The best part about adding small nonpareils to these cookies is that the ridges catch all of the sprinkles. Those sprinkles bounce all over the place and can make such a mess. 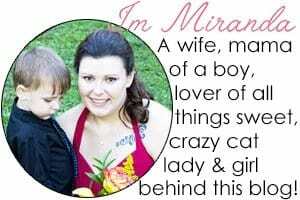 I normally add anything I’m decorating with them in a bowl with high sides on it to avoid the mess. You don’t have to worry with these cookies. In a mixing bowl, add in the butter and sugar. Mix until light and fluffy. Add in the vanilla and almond extracts and yolks. Mix until incorporated. Add in the salt and flour and mix until the cookie dough comes together. Use a strong piping bag with the 1M tip and fill with the stiff cookie dough. It's going to take some strength to squeeze out the dough. Pipe swirls on a cookie sheet. My swirls were huge and I only put 5 on my cookie sheet. Sprinkle some nonpareils on the tops of the cookies. Place in the oven and bake for 11 - 13 minutes until the edges become golden brown. Your cookies will bake faster if they're smaller than mine. Let cool on the cookie sheet for 10 minutes before transferring to a cooling rack. That will prevent the cookies from breaking apart. 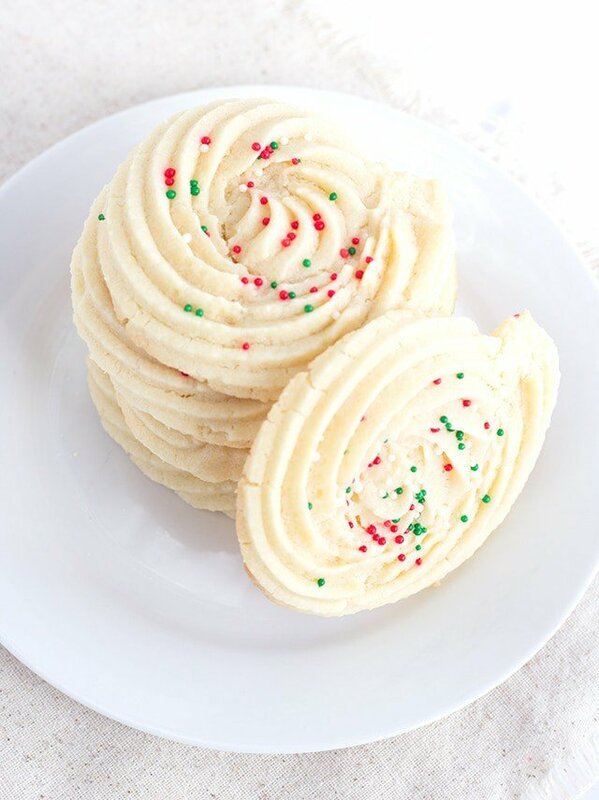 Do you use a cookie press or a piping bag when you make spritz cookies? I know what you mean about a baked goods weakness..particularly homemade cookies here. These look fabulous, the pictures make my mouth melt!! !